That wraps up this edition of Lyra's List. If any changes need to be made, just let me know in the comments. 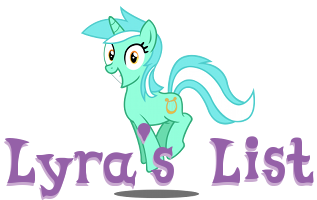 And if you have a great idea for an MLP fangame, or are looking to help with one, consider submitting to Lyra's List!